Businesses come in all shapes and sizes, much like the CEO’s who run them. We all need to take more ownership of our own business and become the the CEO of “You University”(YU) and all the intricate departments that need to be running together for an efficient health eco-system. The lifeblood of YU depends on the drive, energy, and action that you, the CEO, puts forth to provide the direction and growth for the business vision to prosper. Real life CEO’s are the driving force behind our country’s economy and commerce. They are the doers, the movers, and shakers that make it all happen. The most effective business CEO’s understand and acknowledge their own strengths and weaknesses and capitalize on them or compensate for them by hiring and delegating for effectiveness and completeness of their organizations. 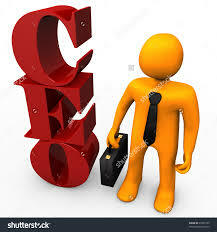 As the CEO of “YU”, you know the areas that you are strong in and areas that you need a little help with. Below you will find a list of systems that it takes to the run YU efficiently. Are you the leader of all departments, or do you need to delegate and hire out the areas that are not you expertise? At Cypress, our mission is to bring all the aspects of YU in-house and give you the consulting tools for a long healthy life. You need to rule your body like the head of a family who instills order and integrity into the group dynamics to grow the family in the way that is most productive for them. This is similar to the school teacher who finds ways to instill the necessary information into students and then find ways for them to apply the concepts for desired outcomes. You have goals and expectations on how your should look and feel. How are those outcomes shaping up? If a business’ clerical department is floundering, would they not look to make a change? Every department in a business is different, yet all action is directed to the same vision, the same outcome. The types of people, equipment and supplies, and methods used by each department is different. Does your day to day life follow the vision you have for YU? Most business CEO’s are reinvesting in equipment updates and insisting on faithfully following maintenance schedules to prolong productivity and life. As the CEO of YU, each year that you age brings new challenges and changes that need to happen. Learning how to deal with these changes and seeking out experts to help you make those changes is the equivalent of sending key employees to seminars and continuing education. You need to recognize that your own body is an organization of systems and processes, with each organ, system, bone, muscle, and joint having its own job to do, interdependent on the other organs, systems, bones, muscles, and joints. These systems can only function fully when provided with seven key ingredients – water, sleep, exercise, nutrition, fresh air, low stress, and sunshine – every day. If the human body does not receive these key elements it will break down into a state of disease and deterioration – 100% guaranteed. There are many reasons why people put the care of their body and their health last in their list of priorities. Oftentimes people don’t take care of themselves until they have symptoms that interfere with their daily lives. Making money is one of those reasons. Losing income is one interference that spurs people to action. The business CEO that is motivated to implement a wellness program for employees because of the high costs of insurance, low productivity, and absenteeism, among other company problems, is no different than the person who has a heart attack and is told to start exercising and eating right or he will die. Suddenly everyone is paying attention. The human body has 11 distinct systems that are interdependent of each other to sustain their job function. The supplies they need EVERY DAY to function well include restful sleep, water, exercise, nutrition, fresh air, stress reduction, and sunshine. Regular exercise and proper nutrition supply the foundation of these bodily needs. CEO’s know that action is what turns the profit, fuels the growth, feeds the vision, and secures a healthier future. Should you not view every aspect of your body the same way? Getting Psoriasis on your arms? Take action. Secure the Integumentary department. Is your Immune system compromised? Maybe you have deviated from your business Vision and Mission. Thousands of research studies have shown that regular exercise and proper nutrition are key ingredients to achieving health and wellness and that without them, the body will deteriorate into a state of disease. That disease is still present while a person is on medication and not exercising and/or eating nutritiously. The human heart is a muscle. Regular exercise is needed to strengthen the heart as well as the body. If the leg muscles are weak, how can the heart muscles be strong? If your business sales are weak, how can your business growth be strong? Be a leader to yourself. Be hard, but caring. Be fair, but realistic. As you lead yourself to a healthier you, others will take note and follow.